The mechanics of the game are fairly standard FPS – the biggest thing is that you don’t have a weapon or way to combat the enemies, you’re simply avoiding them. You’ll use a handheld video camera to light up dark areas (with a night vision mode that is equally terrifying as the dark) and have to rely on batteries you locate in the environment to keep the camera working. 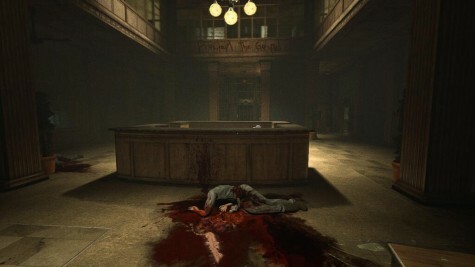 The horror game tropes are pretty clear within the first half hour or so, you’ll see lots of jump scares and hear creepy music, and plenty of disfigured individuals roam the asylum. I feel jump scares are cheap fear triggers, Outlast also makes a point that you will need to avoid these crazed individuals by hiding in lockers or under beds, or just out running them. It’s not always easy, and I can promise you’ll take a wrong turn and find yourself reloading to a checkpoint after being subdued by an enemy. 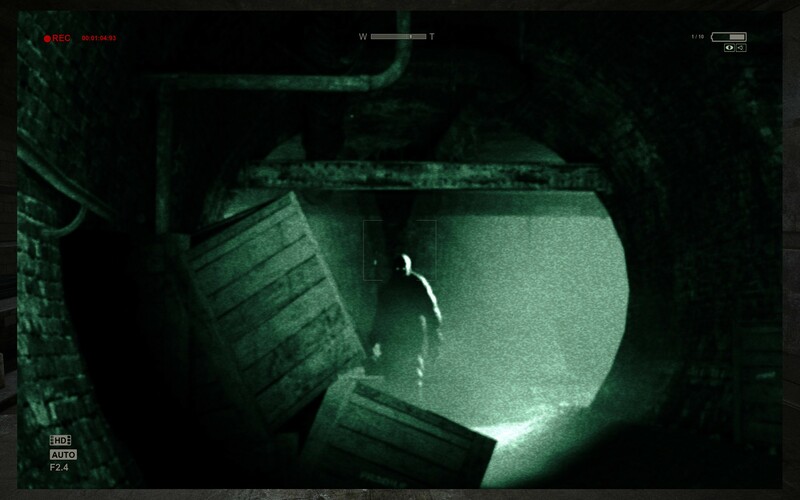 The PS4 controller is a nice addition to the Outlast atmosphere. The light bar glows like a flashlight when the camera comes up, then green when you’re using the night vision on the camera. This is a neat trick to provide some ambience in a dark room. If you’re caught and killed by an enemy, it goes red, just to remind you that you’re about to die. The game looks really good too, if you take time to actually stop and look around. You’ll have some opportunities to do so; the flow of the game tends to give you some reprise from event to event, a lull to provide a another place to dig in the scares when you least expect it. I’ve had some graphical glitches from time to time, but overall its a terrifying delight. The sound design is on point, from the voice over work to the creepy music in the background, there is plenty of tension built based on just what you can hear. Surround sound users will love it. We’ll talk a little more Outlast during the upcoming Super NovaCast, so stay tuned!